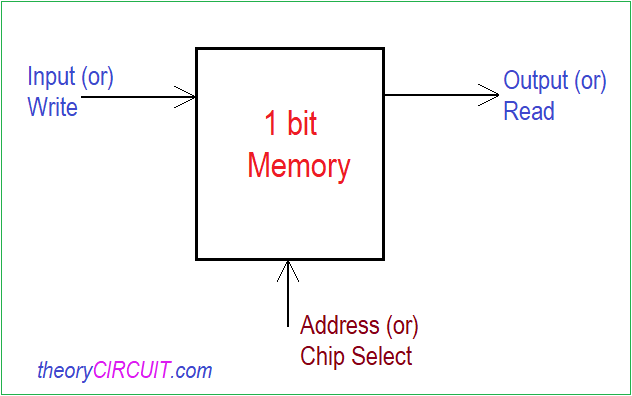 In digital electronics memory and memory cell circuit plays an important role. Now a days every electronic gadgets has gigabytes of internal and external memory. 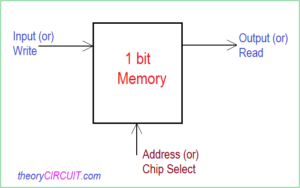 Some schematic utilize I2C EEPROM or flash memory ICs. 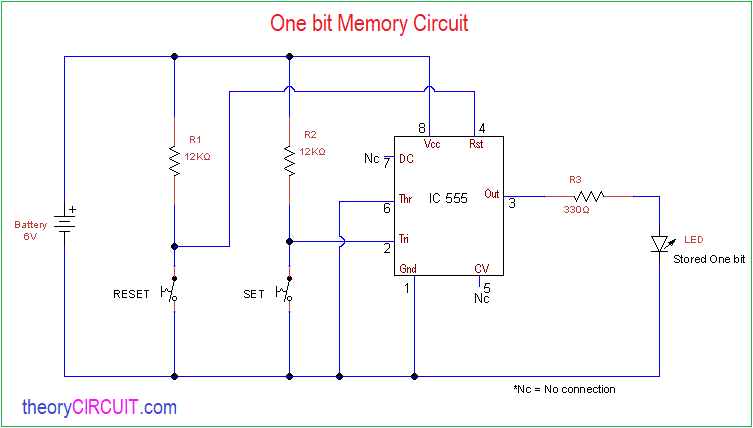 In this article one bit memory circuit is developed by using timer IC 555 and RS NAND latch example given for better understanding of one bit memory cell. We know one flip flop can store one bit status by the way we can store more bits by increasing number of flip flops we can use these kind of memory cells in digital circuits, Analog electronic circuits and hobby circuits we can also use 4 bit or 8 bit memory cells as a electronic lock. 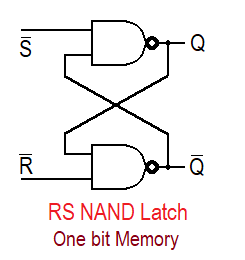 We can create one bit memory by using two logic NAND gates. Here when both inputs are given as logic 0 the output goes to undefined (Q, Q’) and the both inputs are given as logic 1 the output remains no change. When S’ or Set pin given as logic 0 and R’ as logic 1 will provide output as Q=1 and Q’=0 this is known as set condition and this output don’t change upto return of S’ to logic 1. In this circuit Reset pin and trigger pin connected to ground supply through push button switch, when the push button pressed ground supply flow to corresponding pin. Threshold pin is directly connected to the ground and output pin is connected with LED to show the stored bit. If the LED glows then it represents logic 1, If it is in off condition then it represents logic 0. When the set button pressed logic 1 bit is stored in IC 555 internal flip flop. When the Reset button pressed logic 0 bit is stored in IC 555 internal flip flop.